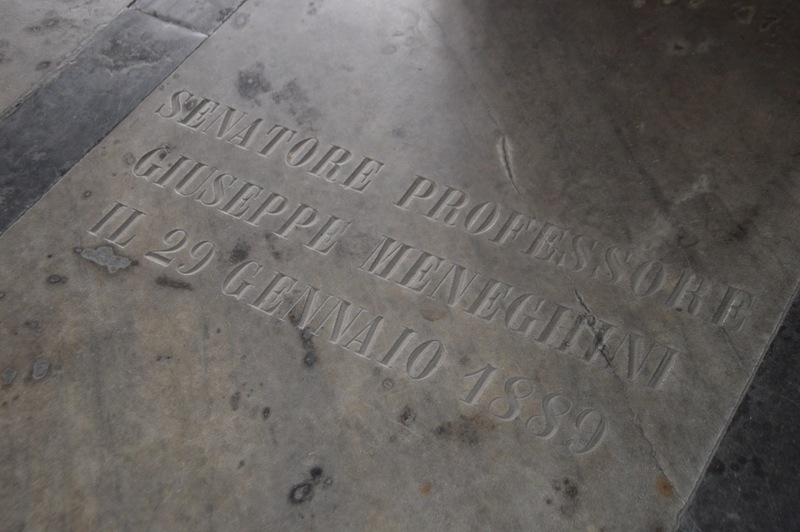 This is the tomb where the Italian physician and politician Giuseppe Meneghini was buried after his death. 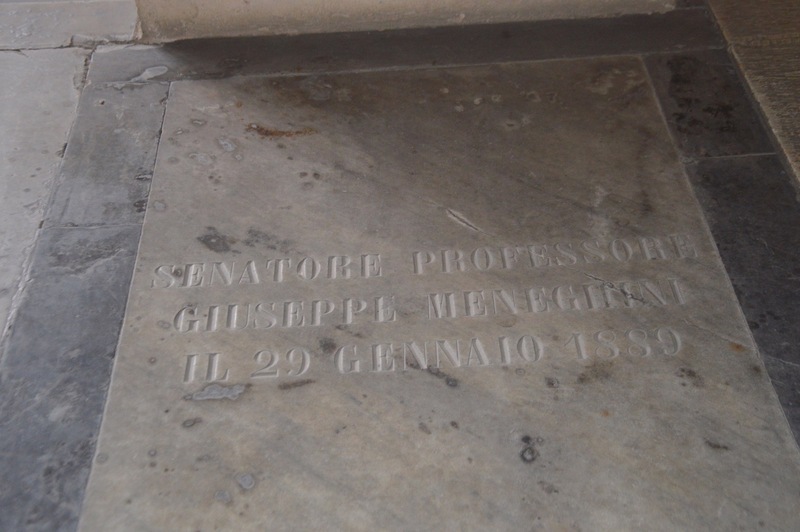 He was a professor of mineralogy and geology at the University of Pisa as well as director of the geological cabinet. 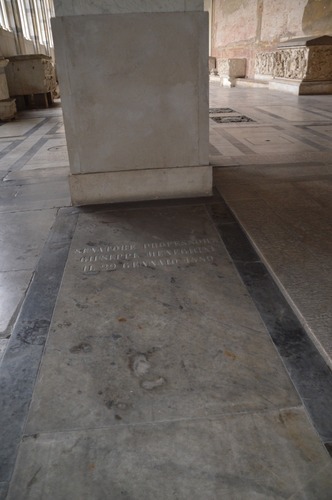 He died in Pisa the 29th January 1889. He was buried in the Monumental Cemetery, located in Pisa (Piazza del Duomo, 17), which is destined to host the remains of illustrious citizens, in fact even other physicians are buried there, like for example Andrea Vaccà Berlinghieri. He was born in Padua but the political revolts of 1848 forced him to emigrate to Pisa, where he lived until his death. As we can see from the photos there is an Italian inscription on the tomb, that reads as follows: "SENATORE PROFESSORE / GIUSEPPE MENEGHINI / IL 29 GENNAIO 1889" ("senator professor / Giuseppe Meneghini / the 29th January 1889").